The Conair P4200 is an inflateable neck pillow which helps to prevent tired and cramped neck muscles. Made with soft suede-like material, it is washable and can be deflates to pack into purse, briefcase or carry-on. The Conair Inflateable Neck Pillow has many exciting features for users of all types. You can extend the lifetime of your Conair Inflateable Neck Pillow with the purchase of a FactoryOutletStore Factory Protection Plan. 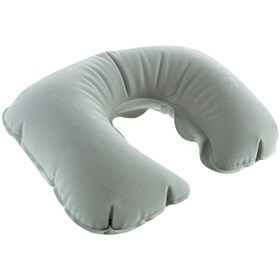 See the Conair Inflateable Neck Pillow gallery images above for more product views. The Conair Inflateable Neck Pillow is sold as a Brand New Unopened Item.